A graduate of Abbeville High School, and a graduate of Gupton Jones College of Funeral Service. He is a member & Elder at the Abbeville Presbyterian Church where he is a member of the Finance & Administration Committee and serves on various boards and civic organizations throughout the community; he is Past-President of the Abbeville Rotary Club, Past-Chairman of the SCFDA Piedmont Group; Board of Director on the Greater Abbeville Chamber of Commerce, Former Treasurer of the Abbeville Historical Preservation Commission and former President of the Abbeville County First Steps Board. 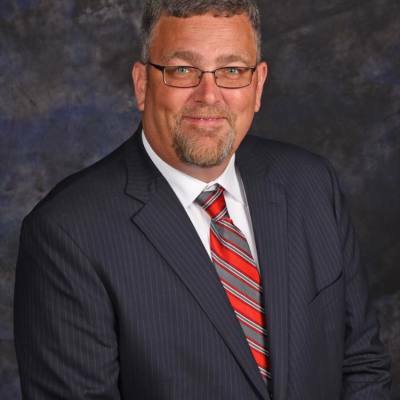 Also serves on the S.C. Board of Funeral Service IRC Committee, Lions Club, serves as President-Elect of the South Carolina Funeral Directors Association, Abbeville County School Board Trustee and the Academy of Funeral Service Practioners. 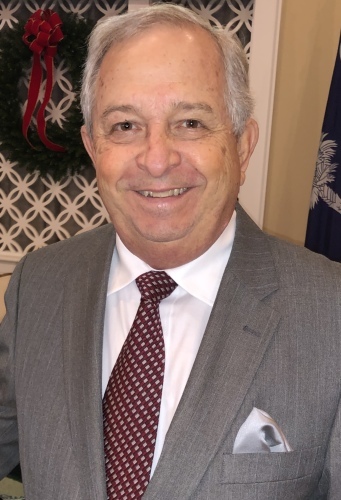 He also serves as a trustee and Chairman of the Long Cane Cemetery Association and Chairman and Charter Member of the Freshwater Coast Community Foundation. Brad was born in Greenwood, SC, to the late James B., Jr. and Cornelia Ashley Evans. He has two brothers, Jimmy & Mike Evans and a sister, Jennifer E. Hughes all of Abbeville. He is married to Mrs. Abby Walden Evans formerly of Middletown, OH they have a son, Gage Andrew Evans, and a daughter, Isabella 'Bella" Cornelia Evans. Gage is the son of Brad & Abby Evans. He attends Wright Middle School and is a vital part of the funeral home team. Gage enjoys playing, football, baseball and playing with his friends. Bella is the daughter of Brad & Abby Evans. 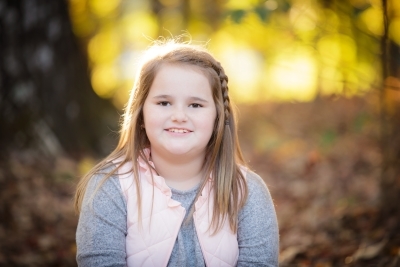 She attends Westwood Elementary and is a vital part of the funeral home team. Bella enjoys taking hip hop and clogging. She enjoys playing softball and spending time with her friends. Joyce Cameron Cooper was born and reared in Greenwood County. She graduated from Greenwood High School, Anderson College and Erskine College. She was married to the late Walter Cooper, mother of Mike Cooper of Beaufort, SC and Angie Mullet and her husband Myron of Greenwood, SC. She has three grandchildren, Joyce Marie (Chris), AnnaGrace (Jay) and Cooper Mullet and two great-grandchildren, Jack Cooper and Anna Carlisle. After teaching in the Abbeville and Greenwood public school system, she owned and operated the Strawberry Patch, a gift and decorating shop, for 25 years. Joyce is a member of Southside Baptist Church. Blessed with a heart that cares greatly about people and a compassion for those who grieve, she has been associated with Harris Funeral Home as an administrative assistant and aftercare specialist since 2004. The aftercare services are available for all who seek peace and consultation after the death of someone who is loved. Joyce is always available on individual basis and through support groups offered by Harris Funeral Home. Pat Hodge was born in Winston-Salem, NC and a 1964 graduate of Abbeville High School and a 1968 graduate of Mars Hill College. Pat served in the U.S. Air Force, 1968-1972. He is married to Dena S. Hodge and they have three children, Jay Hodge of Anderson, Cary Hodge of Abbeville, and Millie Runyon of Charleston. 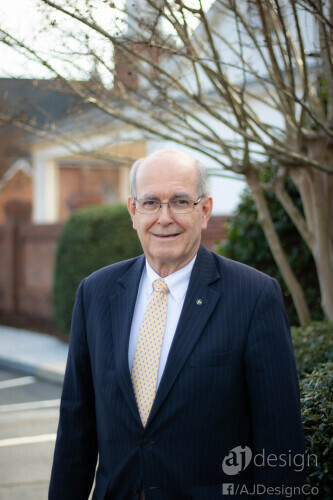 Pat is an active member of New Hope Presbyterian Church; a member of the Abbeville Gideon Camp; a Director for Abbeville Savings & Loan, S.S.B. (Abbeville First Bank); is on the Board of Habitat for Humanity Abbeville-McCormick Counties and a member of the American Legion. Pat owned and operated Hodge Frozen Food serving Abbeville for 55 years. Amanda Hershberger Moss was born and reared in Abbeville, SC. She and her husband, J.B., now reside in Greenwood. Amanda is the daughter of Don and Dawne Hershberger of Abbeville. She is a 2001 graduate of Abbeville High School and a 2005 graduate of the College of Charleston with a B.S. in Psychology and a minor in Sociology. Amanda is a 2010 honor graduate of Piedmont Technical College with an A.A.S. degree in Funeral Services. While at Piedmont Tech, she was the recipient of the South Carolina Funeral Directors Association Ladies Auxiliary Scholarship and the Charles M. Cox, Jr. Scholarship. Amanda was also named the 2010 Distinguished Student for Funeral Services at Piedmont Technical College. Amanda is an active member of Main Street United Methodist Church, Abbeville where she is a member of the UMW Council, Leader of the Agnes Rogers Circle and coordinator of Agnes' Closet, a bi-annual clothing sale to benefit the Abbeville County School Box Fund. She is also a member of the Abbeville Lions Club. Amanda enjoys playing the bagpipes for community events and organizations in Abbeville and the surrounding areas. In 2013, Amanda expanded her funeral knowledge by working with Wilbert Vault Company in Greenville while continuing to assist at Harris Funeral Home in her spare time. In October 2017, Amanda returned to Harris Funeral Home full-time. 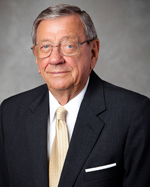 In loving memory of Charles W. Bowie, Sr. who was born in Abbeville County. Charles was married to the late Margaret L. Bowie of Abbeville and has two sons, Charles W. "Billy" Bowie, Jr. and James Michael "Mike" Bowie both of Abbeville. He was an active member of Southside Baptist Church, retired from Milliken & Co., Sharon Plant and was a volunteer with Meals on Wheels in Abbeville. Hubert "Bub" Botts was born in Abbeville County and served in the U.S. Navy. He was married to the late Carolyn Evans Botts and they have one daughter Susan Chisholm and two grandchildren. Bub is a member of the Abbeville Presbyterian Church. He retired from Milliken & Co., Abbeville Plant after many years. Toney was born in Calhoun Falls and was reared in Calhoun Falls and McCormick. He is a graduate of McCormick High School and Erskine College. He now resides in Due West and is a member of Due West ARP Church and Due West town council. Toney is retired from the State of South Carolina having served with DHEC and the S.C. Army National Guard. He is married to the former Kitty Ballinger, of Clemson, S.C. They have two sons: Mac and John. 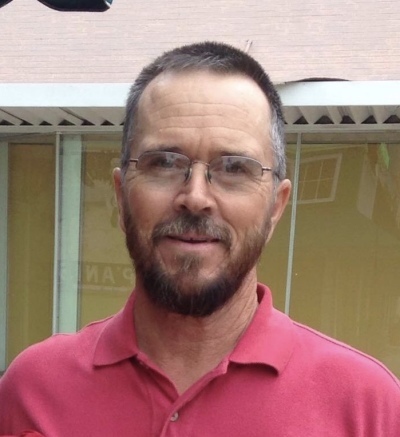 Ronny was born in Abbeville, SC to Howard J. & the late Virginia 'Gin' Culbreth. Ronny retired from the S.C. National Guard. He is married to Diane Temple Culbreth and they have two children, Cristy C. Evans and Chad Culbreth. Ronny is a member of Rice Memorial Baptist Church and works as needed as a ranger at Stoney Point Golf Course in Greenwood. Ronnie is from Abbeville and is married to Cheryl Bosler. He and his wife are active members of Abbeville First Baptist Church and a valuable asset to our team. Spencer is from Abbeville, and is married to Suzanne Whaley Sorrow. Spencer and Suzanne are members of the Abbeville First Baptist Church. 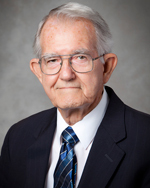 Spencer is a former member of the Abbeville City Council where he served for many years. In his retirement years he enjoys spending time with his grandchildren. Nancy was born in Abbeville County to the late Charlie 'Clyde' & Marie Miller Ashley. She is a graduate of Erskine College and is married to Ricky Dunn. Nancy retired from the Sage Automotive Plant formely Milliken & Co. and was an employee there for over 25 years. She is a long time member of Beulah Baptist Church where she has played the piano for over 20 years. Nancy serves as our full-time administrative assistant. Rick was born in Abbeville, and is the son of Frances Culbreth and the late Richard Culbreth of Abbeville. He enjoyes cooking taking care of his mother. Rick has been a valuable asset to our organization thru the years. He served as our Grave Operation Man and keep the grounds at Long Cane Cemetery for many years. John McMahan was born in Abbeville County and was reared in Lowndesville. He graduated from Calhoun Falls High School in 1961. John served in the United States Air Force before marrying the former Pearl Goff. He graduated from Piedmont Technical College and Limestone College. John retired from Flexible Technologies after over 36 years of service. He and his wife, Pearl, reside in Abbeville and are active members of Abbeville First Baptist Church. They have two children, John Wayne McMahan (Jackie) and Valorie Legette (Steve) and five grandchildren. David is a vital part of the Harris Funeral Home Team. He is married to Tisa Strawhorn. He is a member of South Side Baptist Church and enjoys riding bikes and working. Abby was born in Middletown, OH. She is a graduate of the University of Mississippi where she earned a bachelor's degree in Early Childhood Education. Abby taught school in Charleston, SC for many years. 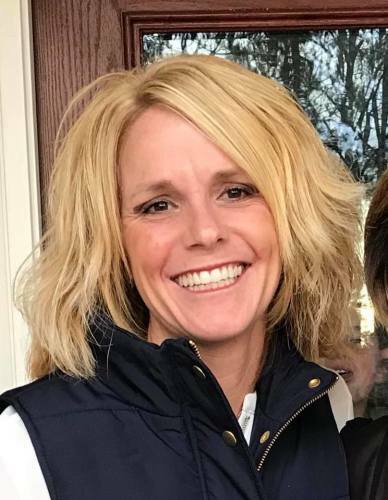 Since moving to Abbeville she has been employed with the City of Abbeville in the Recreational Department and Event Coordinator for the City of Abbeville. As of 2018 she joined the awesome staff of Long Cane Primary as the administrative assistance. She is a member of the Abbeville Women's Club and the Abbeville Presbyterian Church. She is married to C. Brad Evans and they have two children, Gage & Bella.